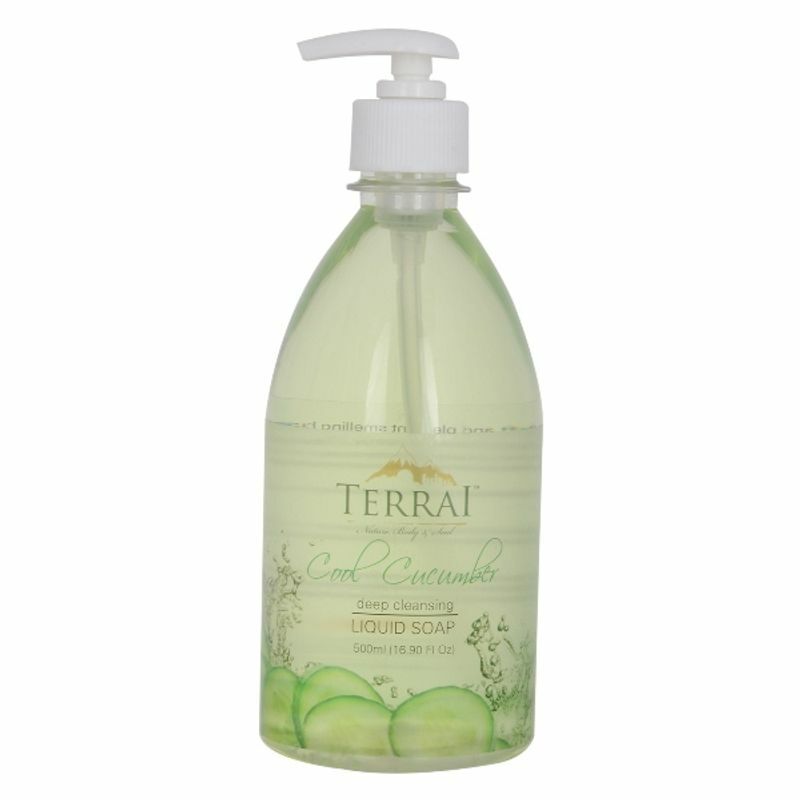 Terrai Liquid Soaps not only give you soft and pleasant smelling hands, they also help provide complete hygiene to the entire family. They can help protect against viruses that occur due to infections carried through the hands. The products are designed for everyday use by all family members. Cool Cucumber - Experience a renewal with one of our popular fragrances of refreshing cucumber mingle with those of lush cool green aloe. Let the sweet and mildly earthy fragrance of cucumber aloe restore your senses and cultivate a new perspective.